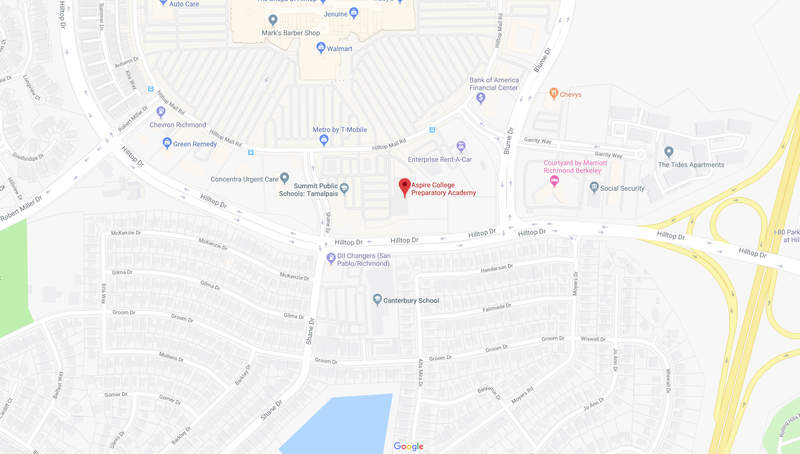 Welcome to the Aspire Richmond California College Preparatory Academy landing page! Aspire Richmond California College Preparatory Academy is dedicated to preparing all of our students for college success. Everything about Aspire Richmond California College Preparatory Academy from the college flags in our hallway to our data-driven rigorous instruction — is designed to put our students on the road to a four-year degree. Helping our students realize the college dream is a challenge that requires the hard work of every member of our school family: our students love learning and achieve amazing results; our staff is the hardest-working group of professionals in the business; our parents and families are involved in supporting every aspect of our college-going culture; and our community partners, volunteers and supporters enable us to meet the unique needs of our students and our community.